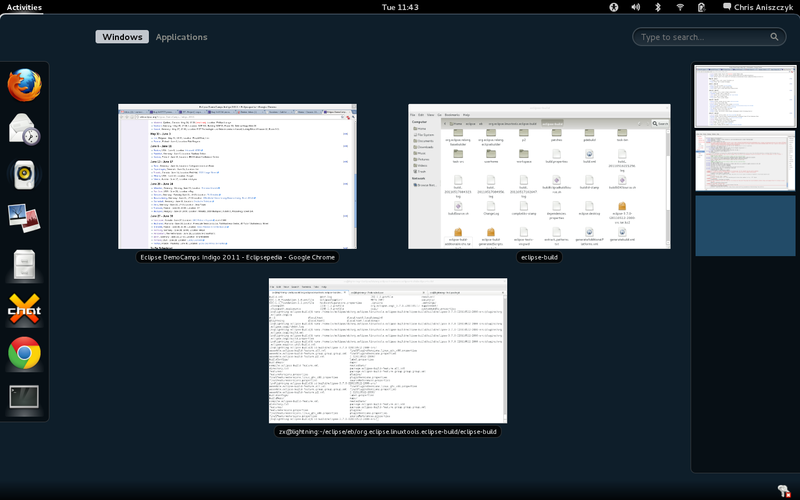 For the past month, I’ve been piloting Gnome 3 and Fedora 15. On a side note, when will “desktop Linux” realize that no one wants to write applications in Gtk, Qt or Python. And by no one, I mean there’s just a small slice of developers capable of writing applications in those languages (I don’t care how many Python snippets you provide). The first one to allow applications be developed in a more popular and saner language, preferably a combination of HTML/JS/CSS will do wonders to their respective communities. I think the direction Gnome is going with Seed but they need to still make things easier for folks. Anyways, if you want to learn more about the Gnome 3 changes, check out this wiki page. The final release of Fedora 15 should be out in a couple of weeks, but if you can’t wait, grab the pre-release which has been working great for me.